I am currently in the process of applying for citizenship to a European country jure sanguinis, i.e., by right of ancestry. Doing so requires requesting a lot of civil records from the US and abroad which take a long time to process and which may never arrive. Would anyone be able to point me in the direction of supplies which might be useful in this process? Or, better yet, does anyone have suggested tricks for luck/speed/success in dealing with bureaucracy? When I was going through the immigration process, I worked alot of Court Case brown candles, that I then covered in orange wax embedded with fast luck and orange peel. When I would use the candles things would move along - when I didn't things would stall some. That was just my experience. If you have a specific case worker, then put them in a Court Case honey jar. Devi touched on it when she mentioned the orange peel in the wax ( a wonderful idea btw ) but definitely work some kind of conjure to open the way.. I like Road Opener and Van Van for something like this, they both open up the way, and Van Van is very very lucky and has the reputation for turning bad luck around. Court Case and Road Opener is definately called for. Burn brown candles dressed in Court Case along with orange candles dressed with Road Opener. Together they can get things to move along smoothly and eliminate delays. Dust all your immigration papers with Court Case to have whoever looks through them favor you and pass things along. You might consider getting Saint Expedite involved as he's not only good for money, but eliminating delays and getting things pushed through in legal and bureucracies. Thank you all for your help in this matter! And Devi Spring, I hope your immigration story was a success and that you are now happily settled. I think at this point Van Van/Road Opener might be the most appropriate. I have not begun my official petition yet, I am just trying to obtain old birth/naturalization records, many of which take a long time to get a hold of (if you can find them at all). Any advice for using one or both of these forumlae? I had been considering working with either Saint Expedite (for speeding the process along) or Saint Christopher (for finding the lost, i.e. old family records). I am fairly far removed from the Catholic paradigm, however. What products for legal proceedings? I have been pondering the idea of going to live/work in Spain (unless my love life here improves ) but someone told me (dont know if its true but this is what she found out because she wants to go live there also) that to become a resident or citizen (cant remember which) it take 10 years. that sounds a bit extreme to me but I was shooting for a work permit of some kind at least. Is there any products good for this sort of thing? some work sponsorship/money/legal products maybe altogether?.I read that St. Expedite is good help for legal problems and proceedings so I was wondering what other products I could use along with his help. Unless I can just light a fixed St. Expedite candle and that would suffice. Re: What products for legal proceedings? Getting citizenship can indeed take a long time, but getting something like a work visa isn't usually too bad. I recommend Fast Luck, Court Case and Crown of Success. The Fast Luck to speed things along, Court Case to help smooth out any legal issues and Crown of Success for, well, success! Dress papers with a mix of those powders and burn candles dressed with those oil, if you get the names of the people that can help you, a case worker or the like, put that in a honey jar, if not use the names of the organizations and there logo's. Blessed Saint Expedite can be of great aid in cases like this, because he is not only petitioned for aid when one needs fast results, but also to help overcome procrastination,the image of him stepping on the crow is a visual pun on that. So I would definitely recommend you ask for his help to speed up the proses and stop anyone from procrastinating and slowing you down. You can petition him very simply with a red candle dressed with Fast Luck oil or his oil and an image of him, a Holy card, statue, medal, any of these will work. Dress the candle and set it and a glass of water before his image. Light the candle and pray to him, either an extemporaneous prayer from your heart, or one of the many traditional prayers to him. You must promise to pay him for his good work o your behalf, a slice of pound cake and red flowers is traditional, I know some people also swear by giving him a glass of red wine. It is imperative that you pay him what his due when the work is done, or he will take back all he has done for you and then some. A fixed Saint Expedite candle from LuckyMojo would also be a great way to petition him and would take the place of the free standing candle I mentioned before. Anyway back to this thread. for Fast Luck Oil I was going to get it but I read or misinterpreted that it brings you luck fast but the luck is not long lasting. is this true? I cant find the page I read that in but i remember because I wanted to order that oil and when I saw that i was bummed and opted not to get it. For the honey jar do I put their names only or do I put theirs and mine together on top of eachother? like a love one? you have great ideas HD!! Im going to try it! besides what do i have to lose!?? Fast luck by itself can be fleeting, but with I find that when used in tandem with other products like I mentioned it serves to get things going fast, while the other products ensure a long term success. Brujita Angelical wrote: For the honey jar do I put their names only or do I put theirs and mine together on top of eachother? like a love one? I would cross there names with yours, not for love but for control. If anyone has had success with an AIRR rootworker or used any LM spell kits to get permanent residency please PM me (since we are not allowed to discuss on AIRR here but I need some guidance here coz time is a crucial factor due to certain laws). When I was attempting to get my permanent residency here in Canada and things were getting critical I got a brown pull-out candle and an orange altar candle. I melted the orange candle down using a baking tray lined with tin foil on the stove top, and added orange peel. This was for speed. I then rolled the brown candle in that mixture and let it dry and solidify. I then dressed that candle with Court Case oil while praying my petition. I also wrote a very passionate petition paper and placed that under the candle, and then set it working. Every day I spent time praying over the candle for a speedy and favorable resolution to the situation. In *this case*, 3 days after the candle finished I received word that my case had been processed and accepted. Knowing nothing about your case, I can't say that this same work would have the same result, but I was startled with the result. You may also wish to think about doing a divination to see if St. Expedite may be able to help with your case. If so, than a petition to him along with something along these lines could be very effective. If you know the name of who is handling your case, you can also do a sweet Commanding jar on them, using brown sugar (I prefer brown sugar for sweet jars, because it tastes much sweeter and more pure to me, but if you only have white sugar on hand it should certainly work) which if time is an issue I prefer to use in place of honey, since sugar is "faster" as it is loose and dissolves quickly. Also use herbs like liquorice and calamus for commanding/controlling, five finger grass for getting favors granted, lemongrass to open the way, cinnamon for sweet quickness, and some court case herbs. Place them in a jar with a picture of the case worker, if you can find one online, or their name. I suppose you could also work this without a name, using "My Immigration Case Worker", though I've only done this using a picture and name. Work this in conjunction with a Road Opener vigil candle that you set working 1-3 days before you commence this work. Shake that jar at least 3 times every day while calling out your command to them. Heat it up by holding it over the flame of your Court Case candle and your Road Opener candle, and then shake and command some more. I also would burn purple or brown candles on it daily dressed with Court Case and Commanding oils. I used that Commanding sweet jar warmed over my vigil candles to get the doctors here to decide to fast-track my husband's surgery. And it worked within 10 days. I can see the same thing working in an Immigration case, because its also dealing with a lot of red tape and your case being decided by one person. So, these are idea of what you can do on your end. I'm sure if you look through the AIRR pages you'll find some who specialize in court case work, who may be able to help you. hi guys, I am appearing before the Judge on the 15th of Apr for divorce hearing.. I have been doing all my candle lightings and psalms readings for the past 1 month.. I don't have any legal documents to fill up and sign... i have only received 2 letters so far, 1 was from my lawyer and the another from the Judge's office.. I have put my lawyer's visiting card and tore off the judge's signature and put them in a honey jar.. i dusted the letters with court case powder and crown of success and placed them under my court case and crown of success candle..
my question is, i am nervous but i am confident that I will get what is rightfully mine.. how should i prepare myself for the appointment.. i have the 3 sachet powders (above).. do i dust on my body or put them in my shoes.. i read somewhere, that i have to write the judge's name, dress it with 5pt commanding oil and put it under my left sole.. I have petitioned to St Expedite, St Muerte, said Divine Mercy Novena since Good Friday, Holy infant Jesus and the 3 Angels Novena and praying to St Micheal fro protection... have I missed out on anything or what other products for legal proceeding??? 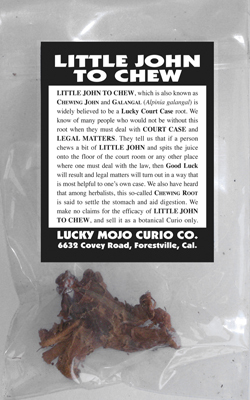 John the Chew is great for court cases for getting the judge to side with you. You have him in a honey jar which will sweeten the judge to you. how about burning and smoking tobacco for court case??? My immigration process was a farce, and ended up taking 4 years...but yes, I'm finally settled. It was once I started conjuring it that things finally came through. My lawyer said she'd never seen anything like it - the insanity for the first few years (like my first case worker leaving and the new case worker deciding that she didn't like my application, and requiring that I submit several different new ones that each cost almost a thousand dollars in processing fees...but waiting more than a year and a half to inform us that she wasn't planning on going through with the approval; it took my lawyer actually travelling in person to the immigration office to track down the worker and suss out what was going on), or the freakishly instantaneous resolution that came out of left-field. So, yes - it was shocking how quickly things came along once I applied a little magical pressure. It's too bad it didn't occur to me sooner to go that route, but I was still fairly new to conjure at that point. I used to wait until crisis-point before trying to trick a situation. Now I just do it from the get-go! Oh this is great information. I definitely need to try this for my slow moving case. Thanks for sharing your story, Devi! There are lots of gambling products you can look at. 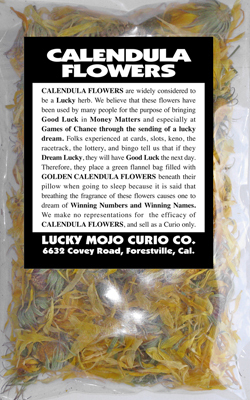 Black Cat products, Good Luck, Lady Luck, Lucky 13, Lucky Hand, Lucky Number etc etc. 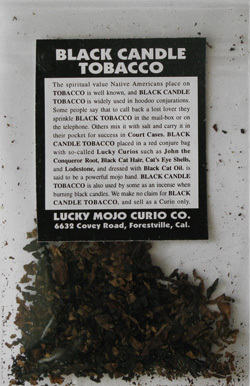 You can buy several of these products, you can buy a mojo hand, or you can look into the black cat spell kit. Ah I must have misread. 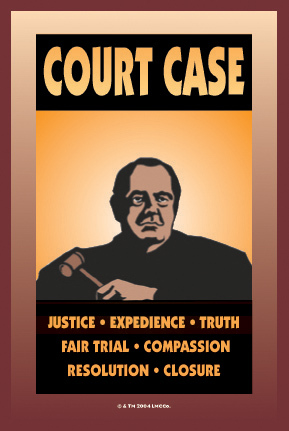 Court Case products can help with government and bureaucracies-- I've helped clients with such. You might combine a bit of luck, sweetening and maybe calling on st. Expedite to take care of things. Thanks. Thats a great idea. Hello everyone. I am new to this forum and to this work. My husband who lives in Africa is going for his immigration interview next month. It is a difficult consultate to get approval. Can you tell me which candles, oils, rituals will be helpful? We went him to get to an approval of his visa on that first interview so we can finally be together as a family. I will not be at the interview. Would a honey/sweet jar to sweeten he unknown consulate officer help (doesn't know who is reviewing case until he shows up at interview). I want him to wear John the Conqueror and will also annoint a candle with it. Is Court Case oil/powder appropriate for this? I will also use come to me quickly oil. 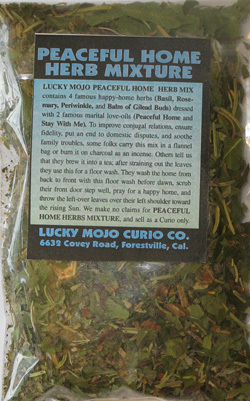 ...consider Law Keep Away (http://www.luckymojo.com/lawkeepaway.html) it includes herbs that keep the law, government etc out of your business. Thank you so much for replying. The links were very helpful!!! Can I persuade a person I don't know? I've been in this country for 3 years as a student but this year when I had to renew my status I did it with few days before the dateline and my papers where delayed so now I fell out of status and I have to do a reinstatement in order continue in the University. The problem is I was told that the whole process will take at least from 3 to 12 months to have an answer from immigrations!! in the meantime I have to wait here what will be the final decision. I have to sent my papers tomorrow, So I was thinking maybe I can put some powders there in order to accelerate the process.. Or what can I do to have them do it asap and of course to get a positive answer... Any suggestions??? The other problem I have is that my DL has expired 4 days ago and in order to renew it I have to go to the DMV with my original papers and the only appointment available was on March 15th and by then I won't have my original papers with me, just the copies!... Today I talked to my University counselor and she told me they won't give it to me with the copies, they will need the original. So, I thought to take the risk and go to apply for my Driver License with the photocopies I have.. so I was wondering if there is any trick I can do to have the DMV officer renew my DL without giving me a hard time or any other problem... I really need my DL renew it, without it I can't drive and taking the bus is really not an option bc I live really far from the University. I will really appreciate if someone can help with any trick or advice! Re: Can I persuade a person I don't know? You can use Five Finger Grass when you go to renew your license. Get some five finger grass along with some john the conqueror, deer's tongue, master root, calamus...put this in a red mojo bag along and dress it with fast luck and crown of success. Or you can dress a candle with the same items listed previously on a purple candle. If you cant do that, then have get an altar candle lit by the missionary independent spiritual church. I would get a John the conqueror candle along with a fast luck candle. Need Help With "Green Card Lottery"
Re: Need Help With "Green Card Lottery"
and a reading from a member of AIRR. Did you try any of the court case products ConjureMan Ali recommended? any of the products mentioned by TripleThreat would be amazing, and perhaps get a reading and rootwork consultation to see if there are any obstacles from getting your green card. The reader can also recommend products specifically for your case. Thank you Corazon! I should have done done a search myself (I did not in this case). I was also hesitant to give the I Can You Can't advice out also, because, most everyone needing a green card needs one, and honestly I felt guilty giving out that advice. It's not a job interview... its an opportunity for a better life, and NO ONE should ever be denied that opportunity. I'm very glad that you brought this up, and recommended again that proper advice should have been followed by a very well respected Member of AIRR. Hopefully, Hope will post back. Thank you Corazon for having my back! So my husband had his visa interview on March 7 and was put on further processing. We were both devastated by this news. This means that they have to do further checking which seems to be the norm. I've done a honey jar spell (started around Feb 10) on the un-named consulate officer, a petition paper with the approval results we've wanted, candle/novena's to Justo Juez, Our Lady of Guadalupe, and St. Joseph because his feast day is our wedding anniversary. I had LM light Road Opener and Law Keep away vigil candles, and received an intrepretation on the burn of Road Opener candle on March 7 after I found out what happened at the interview that accurately said "A few, small pieces of stuck herbs left behind represent some obstacles that remain, but they are in no way insurmountable. There are even two rising confetti stars, which are positive signs of good things to come and since there are two, you will receive help from someone in answering your petition." Nicole is amazing. My question is what can I do to now to move things along and get the approval result we so desparately need? Any advice you can offer is very much appreciated. I would work with Road Opener and Court Case, perhaps with a dash of Fast Luck in there. I used Court Case for my immigration and it worked really well. Thanks Devi. I actually used Court Case, John the Conqueror and Fast Luck oil inisde the Honey Jar and anointed the candles with it, and brushed the papers with Court Case poweder. Perhaps it wasn't enough time for things to take effect so I think I'll do it all again. I'll have a divination done to see if St. Expedite would help. Hi everybody Im new and I have a bad situation that I felt you guys could help with. I married my teenage sweetheart about two years ago after 9 years apart. We were in love at the time ad he is in the ARMY. During that time he's been stalling on filing for me and traeting me badly knowing tha I need his help. He's finally finished up the paperwork and I've sent in my documents but now he's abandoned me in another state where I'm with my mom with no financial support and now is saying he's with another woman, and that he doesn't owe me a greencard. I'm scared that he will leave me hanging, he acts like I'm not supposed to ask him for any financial support when he knows I can't work. Everytime I call him he sreams, yells, and cusses at me. Please help. http://readersandrootworkers.org/ and look through the list to see who really speaks to you. Its really hard to tell you which direction to go with this until you get more information but generally speaking you have two different ways that you could work it--sweeten him to you and your cause with something like a honey jar OR get tough on him and compel him to do what you need him to do with products like Essence of Bend Over--again, a reading will help you determine the best course of action here. Hi thanks so much for answering. I had already been thinking of your suggestions so when I get money next week I'll get a reading. I'm thinking conjure man Ali. Are you on that website too? It sounds like in addition to any hoodo-related work, you should be seeking legal advice as well Often times, immigration attorneys will give a free initial consultation so maybe you could check a few in your town or city. Also, depending upon how you entered the US (assuming you're here?) you can file on your own. This isn't a proper place for discussion of the legal type, so if you'd like to PM me, that's fine. However - again - I wouldn't be in a position to give any type of specific advice to you, only general information and maybe where you can go for help in your city. I have a pending K-1 Visa at the US Embassy in Abu Dhabi. When I filed for my fiance in December 2010, I neglected to put in the papers his family name. The case was approved here in the US and sent off to Abu Dhabi for his interview. At the time of his interview in April 2011, they checked his passport and the name on his passport did not match the name on the approved petition. The only thing missing was his family name. So, they send him on a wild goose chase to prove his identity. From April 2011 till June 2011 we gathered documents that proved his identity, his family name and basically clearly demonstrating that he is who he says he is. We hired a lawyer and he helped us gather all the historical documents. Throughout this time I burned candles and incense such as Road Opener, Crown of Success, High John the Conqueror.All of candle work helped to gather historical documents to prove his identity, without the candle work I really don't believe that we could pull it off. Nevertheless, we have submitted all the documentation to prove his identity as of June 20, 2011. My fiance went in on July 18, 2011 and they returned his passport back to him without a visa stamp in it and give him a paper called the 221(g) that states your case requires additional administrative processing, please check the website for updates. So, since then we are in limbo. We don't know what they are doing and when they will grant him his visa. We have given them all that need to prove his identity. I don't know what else to do to help relieve us of this anguish and waiting. Mind you this waiting game can go on for a long time before they get back to us and are satisfied. We want them to be satisfied with all the documents we have given them and to issue the visa. No more questions, no more waiting, no more playing games, no more jerking us around. Our families are praying for us from both sides. His mother is holding a vigil for us every Friday. Our case has come to a standstill and we need movement forward. The 221(g) notice that they gave my fiance on his last visit to the Embassy has the signature of the Consular Officer. So, perhaps in whatever you guys suggest I can use this paper with his signature on it, because he or she is the one holding up the case from getting approved and the visa being granted. What can we do at this point to expedite our case and to get the consular to grant my fiance his visa??? Thank you for your help and guidance. God Bless. I would suggest Court Case candles, dressed with Deer's Tongue, Calendula, Five Finger Grass, Tobacco, and Little John to Chew. I would also suggest you get a Court Case Honey Jar and use it on that person whose name you have. I have yet another situation that I need help with please. I wasn't happy about it because for our own children it was always a fuss for him to name them and why would I be happy about something like that anyway. The little girl has my partner's name now but she lives in Africa. She is now 6 or so and her family wants her to come to Europe so my partner can apply for her passport. I don't want it to happen!! I already told immigration about 2 years ago but I haven't heard anything from them (I don't want my partner to get in trouble but just to remove that birth right that doesn't belong to her). I have nothing against the child but I don't think she deserve that right. What can I do to stop this process and stop my partner from doing/listening to them. I can burn candles and incenses but it's more difficult to do a honey jar because my partner will be suspicious. (He's African and there's a lot of voodoo in his country so he will think that I am up to something). What do you recommend? Again thanks in advance for your suggestions and your help! Hello Sephora, do you think maybe you and your spouse can try to compromise if he gives your kids their birth rites would it bother you for him to help his friends daughter. I understand your plight, truly I do. If after you've thought it out you still want to try to get rid of the little girl maybe you can try something on the lines of commanding, compelling, or controlling. There are also freezer spells in the forum and on the site here http://www.luckymojo.com/catalogue.html you can browse the Lucky Mojo catalogue to find something else if you'd like. But, I think you'd probably do better working on the adults involved mainly your spouse. I had a look at the catalogue but I am not sure what to use so i will have a look at what you suggested. Thank you. If he declared he was the father at birth, then he is the legal father of that child and she has the same rights as any of his other children. Unless he is willing to get a lawyer and contest it(which even still the chances are slim due to time elapse as she is 6 now) he might have a shot if the actual biological father shows up and wants to be put on the birth certificate. I would think twice before using any harmful or fiery tactics on an innocent child. You sound a bit tired or fed up, like you are struggling with the children you have already(and I know how exhausting it can be). Have you thought of studying money drawing work to make your lives a little more comfortable? I recommend the money stay with me and money house blessing to start. Before starting your work/study, whatever work you choose to do. I recommend using the lucky mojo uncrossing spell kit plus either solomon's wisdom or clarity products. Do you use tarot? I recommend it to help you decide which course of action would be beneficial. Just a suggestion: How about doing some positive work for the girl and the family to increase their assets and opportunities where they are? If you want to help, do some investigating for them on the best schools in their country that the girl could potentially attend. Once she gets to highschool, she could even participate in an exchange program to study here. At 18 she can come and go as she pleases. Thank you for suggestions DelArca. I am pretty exhausted and fed up by the whole situation but I would never dream of harming the child (Btw, the actual biological father is his friend). My focus is more onto my partner as I just want him not to get involved with these people any more. So I am going to order some commanding oil and maybe have a cut and clear candle burned. I could do some positive work for the girl but to be honest I prefer to spend my money and time on my own children/friends/family as the only kind of help this family wants is just take over my partner. (It's a long story). After being separated for a year it's thanks to Miss Cat's free spell that things got back to normal between us. I was mostly using herbs as incense and baths and psalms but now I am ready for more so I will be ordering other products. I am grateful for Miss Cat and everybody's advice/support/suggestion on this forum. Ah, I see now there is a lot more to the story. Congrats on all the progress thus far . . . since the bio dad is your partner's friend . . . any chance of doing work to get him to step up to the plate and take care of his own kid? That would kill two birds with one stone. Good luck! As i see it, this is a Court Case and Immigration matter, with overtones of Hot Footing and Banishing, not a curse against the child. 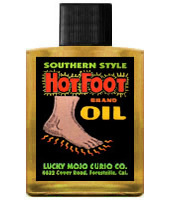 Combine Court Case, Hot Foot, and Compelling products. Use no harmful products. You will also have to do SERIOUS Peaceful Home and Protection work on yourself and your relationship to the man if you undertake this. Your man may be called to account for lying -- and if he is, the fact that you have reported the situation may lead to trouble between the two of you. Peaceful Home Herbs Mixture Four Herbs dressed with Two Oils. Thank you Cat. Although the call was anonymous I will definitely take your suggestions and buy those products. My husband has a difficult immigration due to his visa type there are not letting him adjust even though he is married to US citizen ( me) he has been battling this issue for 12 years. What ritual can be done for a new law or lawyer/solution to come up for our case to favor us and he can receive his residency? Yes, I agree that Court Case is a good formula for immigration work. You can add a little Fast Luck to try and add a bit of speed to things too. Devi Spring wrote: Yes, I agree that Court Case is a good formula for immigration work. You can add a little Fast Luck to try and add a bit of speed to things too. Since you've been battling this case for 12 years, add some Black Cat to the mix, too; it's good for turning bad luck to good. Pray Psalm 57, too -- it's used for the same purpose. Still waiting for fiance visa to be granted. Been burning candles for 9 months. The Embassy takes two steps forward and takes two steps back. Is there something else going on?